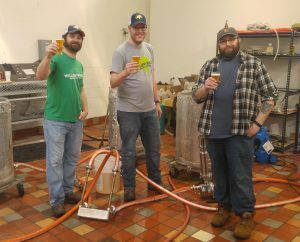 Willow Rock Brewing Company has partnered with the Onondaga Historical Association (OHA) to re-introduce Congress beer. Congress was one of the most popular local beers in Syracuse history. Congress was initially brewed by Haeberle Brewery from 1857-1962. WR is working recipes now with hopes to release the beer this summer, updated for today’s palate. We’ll keep you posted; until then, learn more about Congress and CNY’s history by visiting the OHA at their museum at 321 Montgomery St. Syracuse or online at cnyhistory.org. Another beer trail has hit the area called Sip on Syracuse. 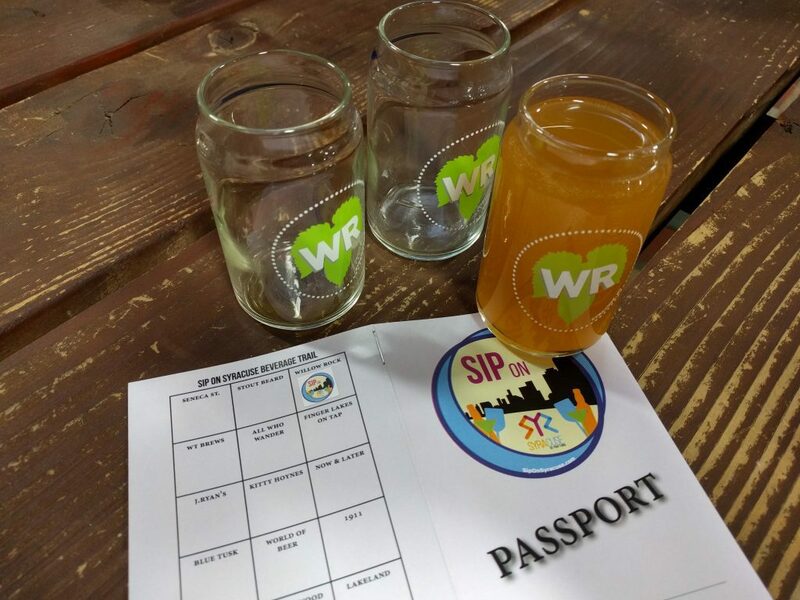 The Syracuse Convention & Visitors Bureau has just added this alcoholic beverage passport to encourage tourists to visit local craft beverage businesses. Sip On Syracuse (SOS) promotes people to visit any of the 27 stops that are associated with the trail; there are 13 breweries, 5 wineries, 2 distilleries, 7 pubs, and a cidery. Willow Rock Brewing Company made the list, and people who wish to participate in the trail can acquire an SOS passport at the tap room. Once eight stickers have been collected simply show your passport book at either the Visit Syracuse offices at 115 West Fayette St. (weekdays only 9am-5pm) or at Empire Brewery, 120 Walton St., to collect a koozie. Once your passport is completed, mail in it to the Visit Syracuse office (with your contact information) to be entered into the drawing for a free beverage tour to visit any six stops from the trail with 11 of your closest friends. Get sipping, the drawing for the winner will be held December 2018. 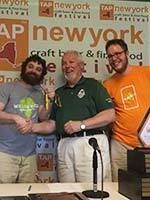 Recently, Willow Rock Brewing Company received a cease and desist from another New York State brewery, Southampton Publick House, for the use of the name Secret. Willow Rock’s flagship IPA which has been known as Secret, a well-balanced India Pale Ale with a pine and citrus hop and a classic malt finish, will have to be renamed. 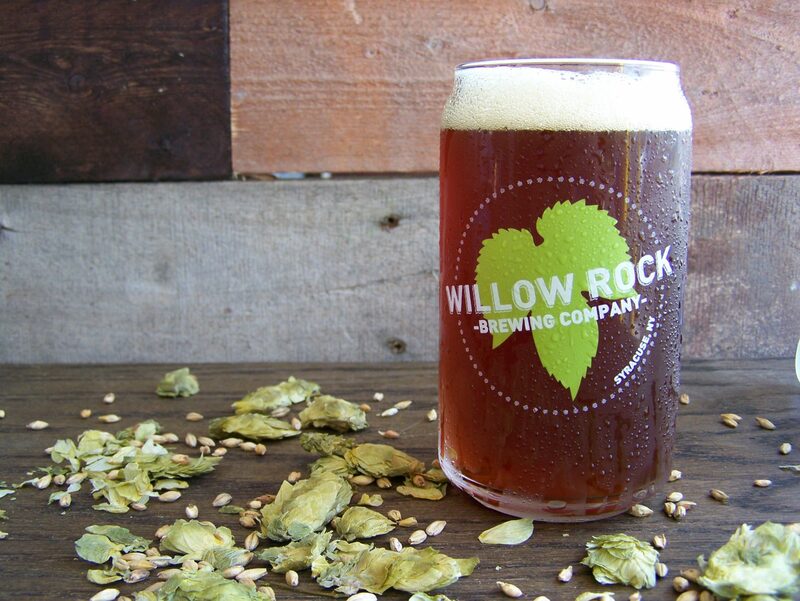 The story of Willow Rock’s Secret IPA is that it was once a secret beer on tap. When the brewery first opened in November 2015 the brewers had not selected a name for their malty-hop forward IPA. 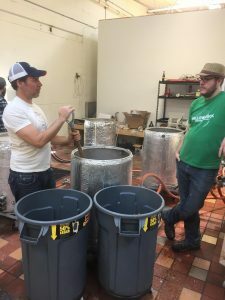 Although the IPA was crafted years earlier, as a favorite homebrew recipe from Willow Rock owners and brewers Rockney Roberts and Kevin Williams, they had never designated a name for it. When the brewery opened the beer was on tap but was not advertised on the menu board. As customers noticed the tap and started to order the IPA it became known as “the secret” and later named Secret, IPA. Willow Rock will now have to choose a new name for the beer previously known as Secret. Roberts and Williams are undecided on a new name for their flagship IPA but it’s fair to say the secret of Willow Rock is out and thankfully the beer isn’t going anywhere. 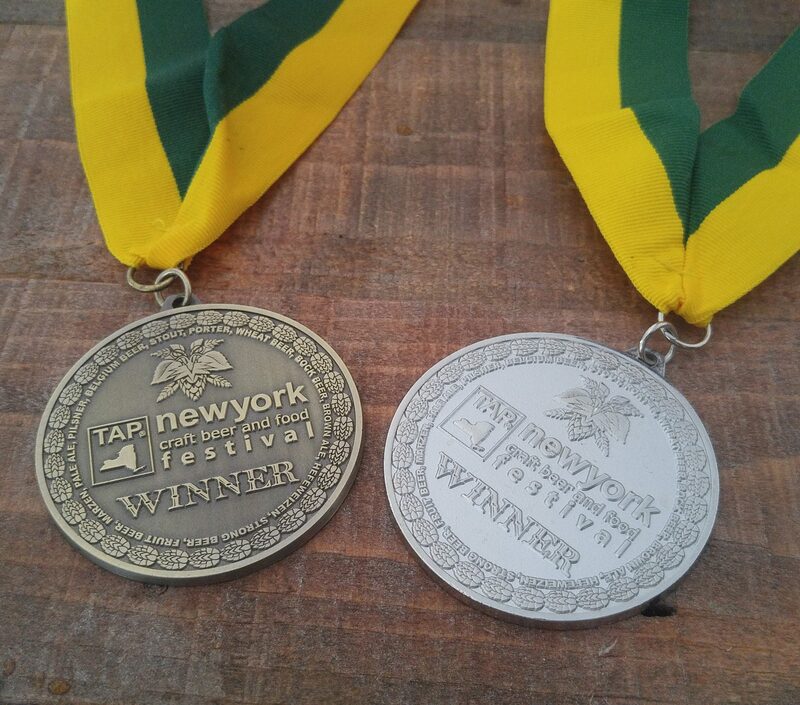 Last weekend, April 29-30, we attended our first TapNY event and won two medals, a silver medal for our scotch ale, Rugged, and a bronze medal for our flagship brown ale, Jim. Both beers will be tapped this weekend, with Rugged in limited quantity. Brewers Rockney Roberts and Kevin Williams hope to brew more of both Jim and Rugged in the coming weeks so we may share these award-winning beers with you once again. Collaborations are all about mutual beliefs and interests. Willow Rock has had the luck to make two such connections recently. Made with Stout Beard Brewing Company, we’re happy to announce our first ever bottle release, Yozakura. A highly fruited Belgian Quad fermented with sake yeast, this 11% behemoth is packaged in 22oz bombers and represents the celebration spring and the bounty it brings. Willow Rock and Stout Beard drew inspiration from the accord between Tokyo and Washington, DC that is celebrated today with the blossoming of the spring cherry trees. With over 42 pounds of tart cherries and plums, this Belgian Quad will age gracefully for years to come, just like a great friendship. We estimated Yozakura will be ready for sale Thursday, May 4th; where we’ll have a Bottle Release Party at Willow Rock (yes, a Thursday event). See our event calendar for exact date and times come April. We are also excited to release in the Willow Rock Tap Room Bitter Bineyard. 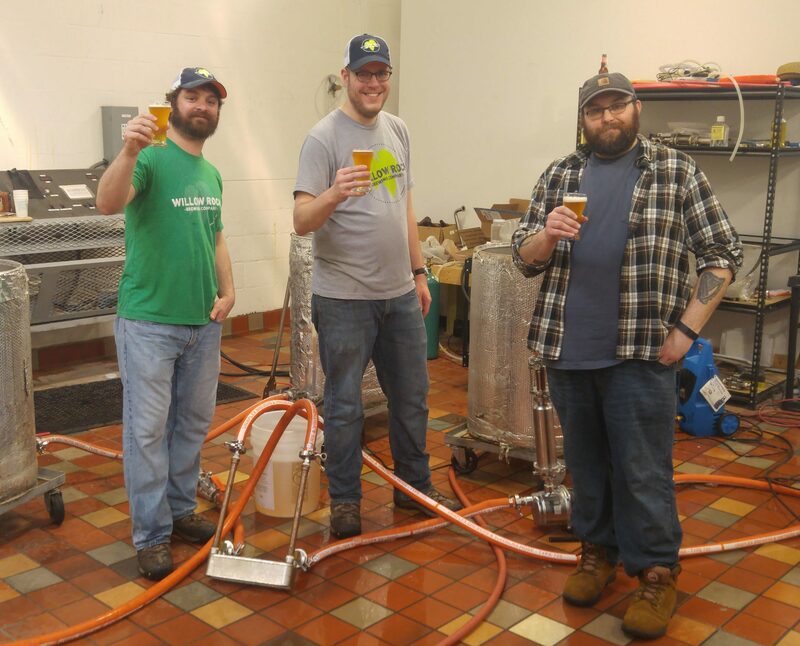 Chad Meigs of Bineyard hops in Cazenovia had a wonderful idea to showcase the top notch hops he grows and Willow Rock was lucky enough to align with his vision. This IPA uses both bittering and aroma hops from Bineyard Hop Farm to create an excellent, locally sourced IPA. The best things are close to home! 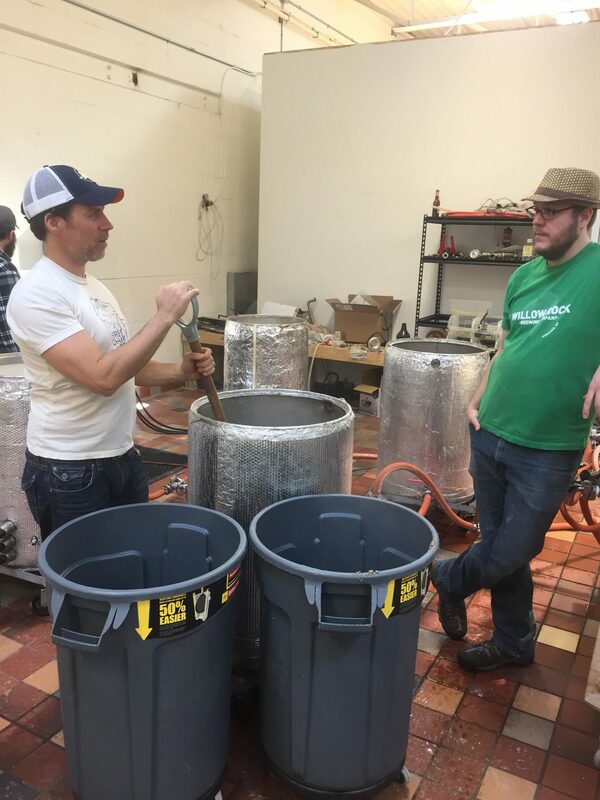 A release date is not set yet, but we hope to have it on tap mid to late April.